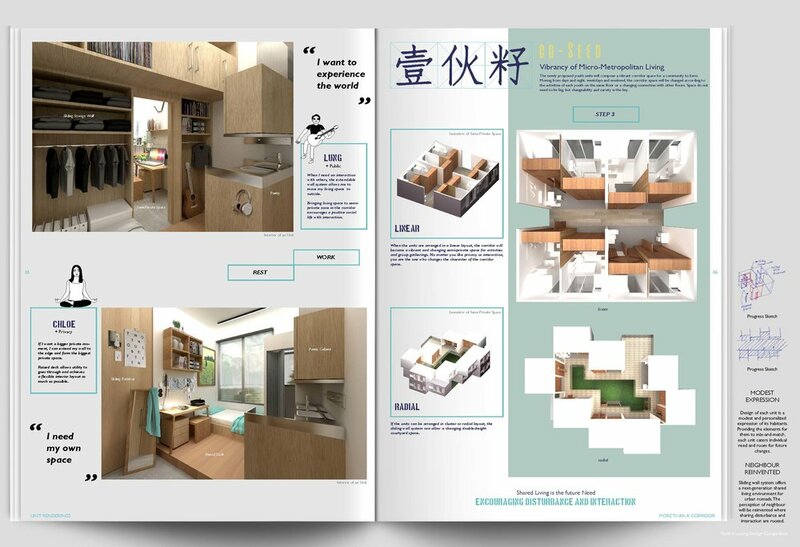 Congratulations to the winning team for the Innovative Youth Housing Design Competition organized by HKIA and sponsored by the Hong Kong Housing Society! It was an exciting competition where the five shortlisted teams have shown inspiring effort to think out of the box what our future youth housing could be. Here, we would like to introduce to you the proposal presented by Jessie, Alan and Sarah, the Co-Exist. Their proposal envisions a youth housing that embraces a micro-metropolitan living by diversity, sharing, plug-in, and engagement. What is the next definition of private & public life? What can be achieved by spatial flexibility? There are a lot of questions to be asked and to be explored, and this proposal is only the beginning. Thank you, KK, Kelly, Jacky, Arthur, Katherine, Tiffany, Lung, and Chloe for the support!